Russian food is something of an anomaly in the Midwest. Even in my home town, Minneapolis, which has made it’s mark on the map as a city with some of the best dining experiences in the country, there are still only a handful of restaurants who specialize in Russian cuisine. Unless you are specifically looking for a Russian eatery, many times that genre of food gets lost in the masses, rarely gracing the plates of the average food adventurist, not to mention the sea of foodies who make it a lifestyle to eat out. The scarcity of Russian food options is a bit of a head-scratcher for me since the handful of Russian recipes I have tried have quickly fallen into the category of favorite eats. This is one of the reasons I am so excited to include a chapter from Russia in my upcoming cookbook. There are many wonderful things I could say about food from this culture and area of the world. However, the thing I appreciate most is the creative use of basic ingredients and the simple cooking techniques that go into making dishes that are as distinct as the Russian culture itself. 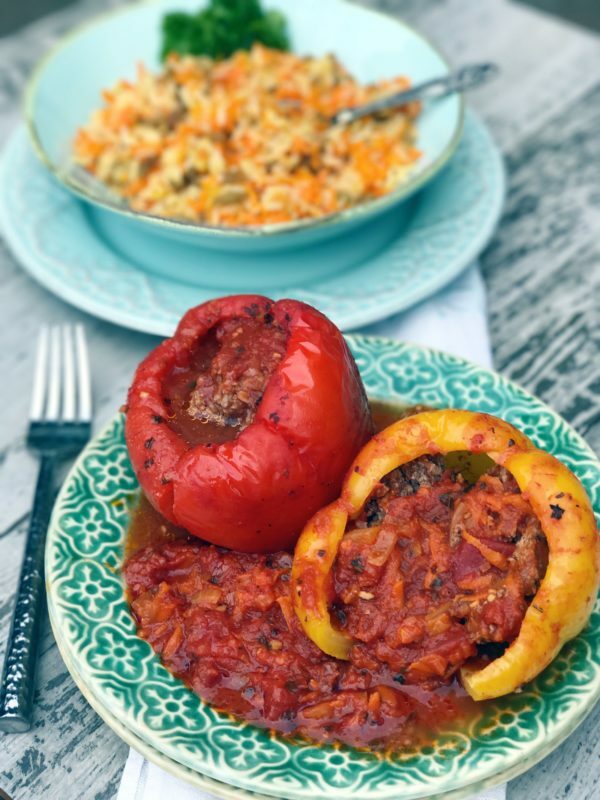 A few months ago, my beautiful friend Natasha and her adorable mother, Maya, taught me to make one of their traditional stuffed pepper recipes. 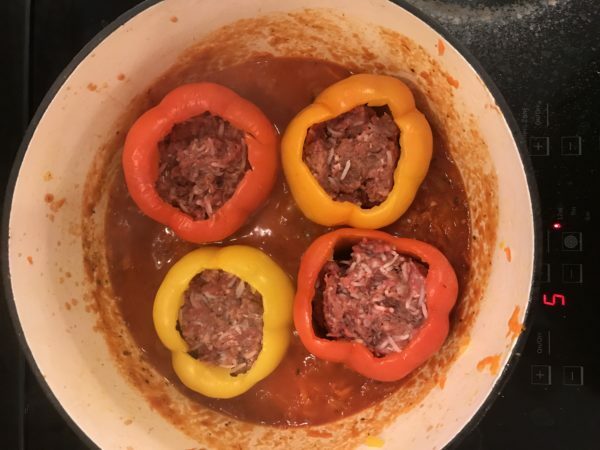 I must confess, as a child, I had never been a fan of stuffed peppers, I’ll admit, I hesitated to be open minded when it came to trying then again as an adult Much to my surprise, the moment a fork full of this unassuming dish hit my lips, I was madly in love! Since then, I have made this recipe again and again, and my family loves it as much as I do. Now this is the type of winning dish that lands in my go-to file when I need a quick and easy dinner that everyone will want to eat. But the fun doesn’t stop there! Ever notice, sometimes the best creations happen by accident? 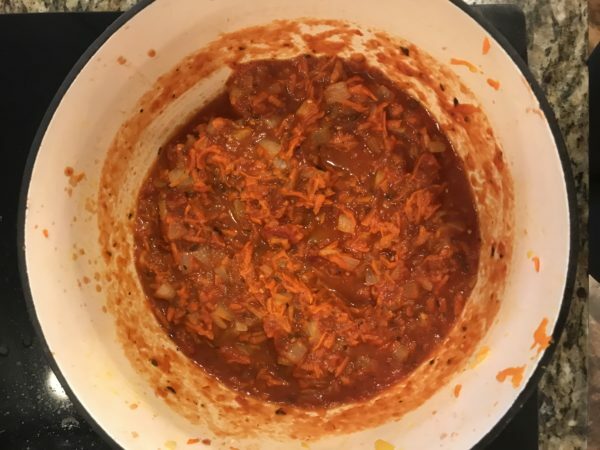 In the process of testing the stuffed pepper recipe, I shredded way too many carrots. Since I am somewhat frugal with my ingredients and don’t like waste, I decided to get creative with what I had in my pantry, and that’s how this rice dish was born. I call it Sweet Milaya Rice, which is Russian for Sweet Rice. The name seemed appropriate since the dish was conceived in the process of making the Russian stuffed peppers. 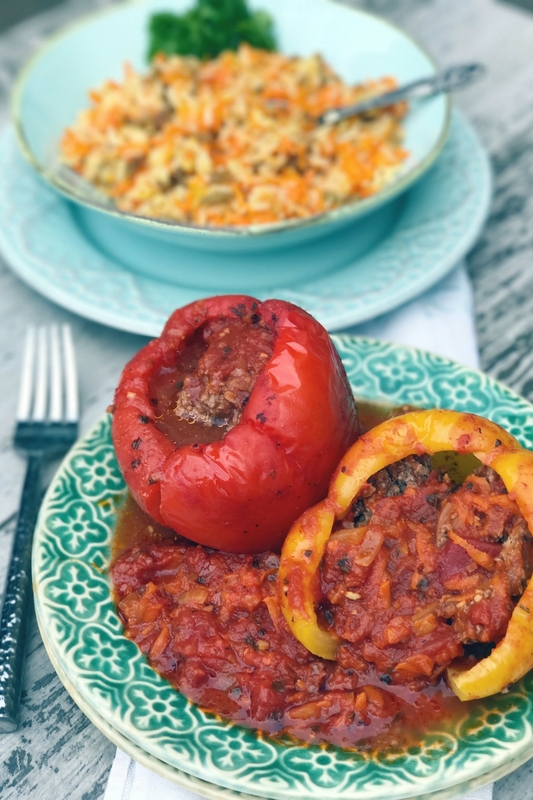 It turns out that the combination of sweet raisins and carrots in this rice dish paired with the zesty tomato sauce in the stuffed pepper dish makes a perfect palatal marriage made in heaven. Huh! Take that match.com! So the next time you want to experience a little bit of Russia in your home, give both of these recipes a try. Let me know how it turned out and what you think in the comment box below. Enjoy! 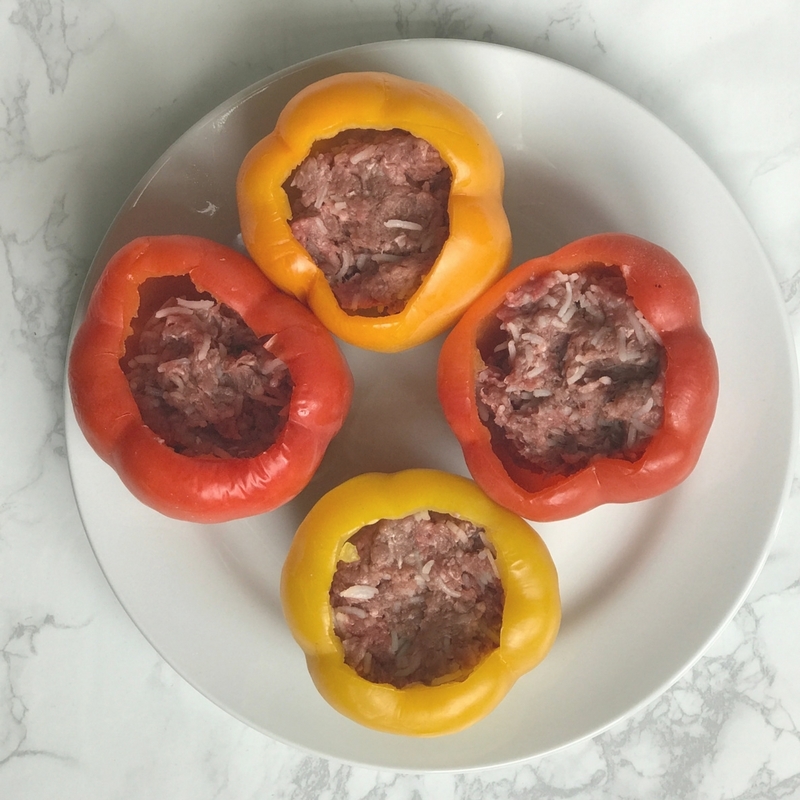 A hearty one pot meal using sweet bell peppers, packed with your favorite ground meat, and baked to perfection. Serve this dish with a side of Sweet Milaya Rice and simple green salad for the perfect family meal. Remove tops of peppers. Core inside with a spoon to remove excess flesh and seeds. Set aside. Boil rice in a small pan until done. Set aside to cool. 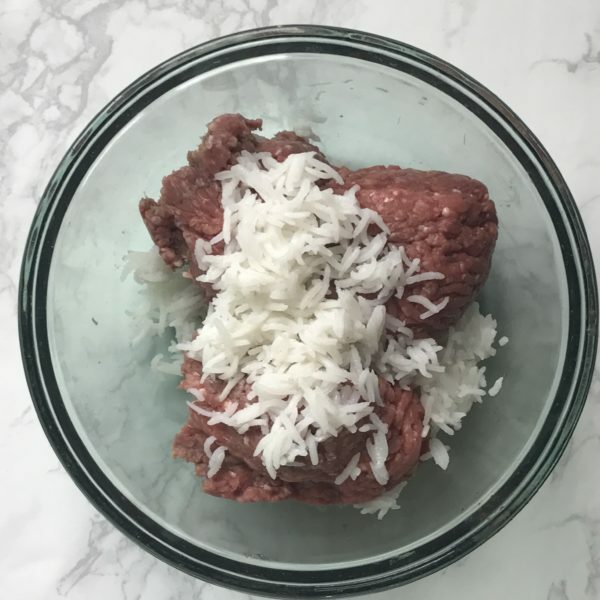 Once cooled, mix together the rice and ground meat. Divide the meat mixture into 4 equal portions, stuffing meat inside eat pepper. In a medium pot, bring 12 cups water to a boil. 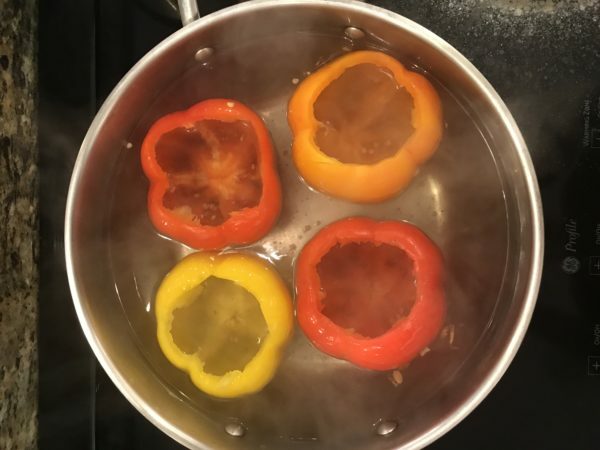 Gently lay peppers in water and boil for 10 minutes to soften before stuffing. Using tongs, carefully lift each pepper out of the pot and turn over to remove any extra water inside peppers. Set aside to cool. Heat oil in dutch oven or oven-proof pot over medium-high heat. Add onions and carrots, sautéing 5 minutes or until golden brown, stirring often. Add 3 cups of marinara sauce, bay leaf, salt, and pepper, gently stirring to combine. Bring sauce to a boil and cook for an additional 3 minutes. Transfer peppers to Dutch oven laying them on top of the onions and carrot mixture. Pour remaining sauce over peppers, cover and transfer to oven. Bake 45 minutes. Remove pot from oven and let sit for 10 minutes before serving. Make sure to use freshly grated carrots instead of packaged to keep the dish juicy, tender, and flavorful. You can also use your favorite ground meat in place of turkey and ground beef if preferred. 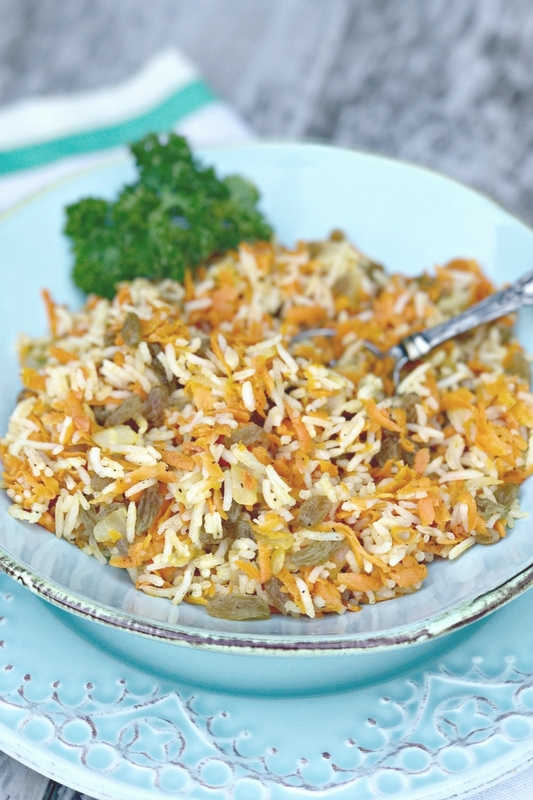 Serve this dish with a side of Milaya Rice and a simple green salad.